We have no fixed hours of operation. The majority of our students have appointments. With that said: we can usually be found around the dropzone. When we are in our office, you are more than welcome to drop by and say hello! 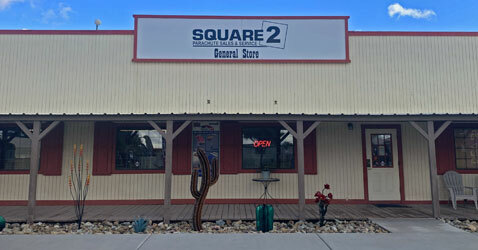 AXIS Flight School is located next to the Square 2 General Store. 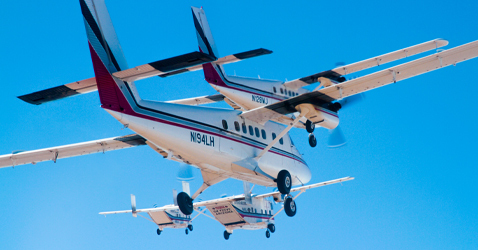 Skydive Arizona has the largest fleet of skydiving aircraft in the world! Balloon jumps/rides are usually available during the winter months but are not organized by the dropzone. However, during the time they take place, manifest will be able to provide the relevant information to you. 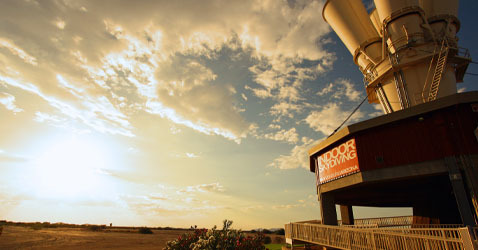 SkyVenture Arizona is a state-of-the-art skydiving wind tunnel located directly on the Skydive Arizona™ Drop Zone and just a short 5-minute-walk away from the office. This skydiving simulator is a 2nd generation SkyVenture, built by Skyventure LLC. This is a large structure with four 400hp top mounted fans with a lexan and steel enclosed flight area. The flight chamber is 14 feet in diameter and approximately 20 feet tall. It has wall to wall air and can produce wind speeds powerful enough for all forms of body-flight. 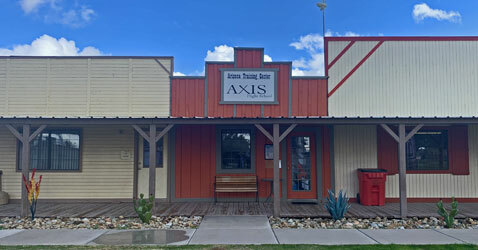 Please be aware that none of the amenities below are in any way connected to AXIS Flight School! 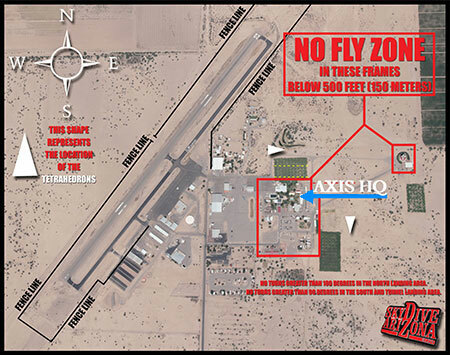 If you are interested in learning more, please contact Skydive Arizona or one of the businesses directly. For more information, please contact manifest! Desert Sky Rigging: full service parachute rigging, inspection, maintenance and repair facility. For more information, please contact Desert Sky Rigging, (520) 233-1245! For more information, please contact Square 2, (520) 466-9566! 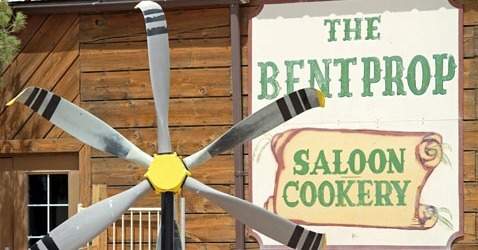 On site you'll find the Bent Prop Saloon & Cookery (see pictures), a full-service restaurant and bar serving meals and drinks right on the dropzone. Hours of operation vary according to season. For more information, please contact manifest! 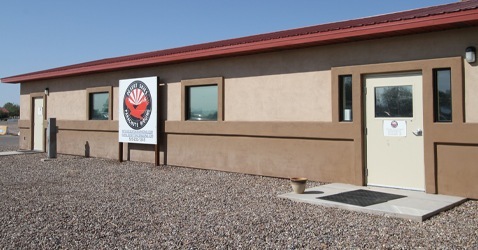 Skydive Arizona takes reservations for the bunkhouse through the main office. Sheets, blanket, and a pillow are available or visitor can provide their own sleeping bag. Since there is no grocery store within walking distance there are refrigerators and a microwave in the common room. Also in the common room are storage lockers available only to those staying in the bunkhouse. 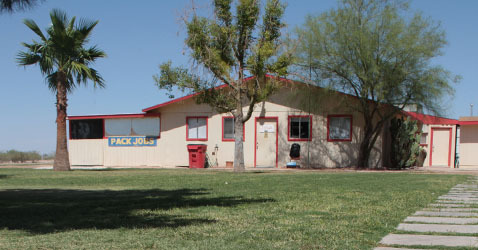 Showers and laundry are located near the bunkhouse and team rooms. 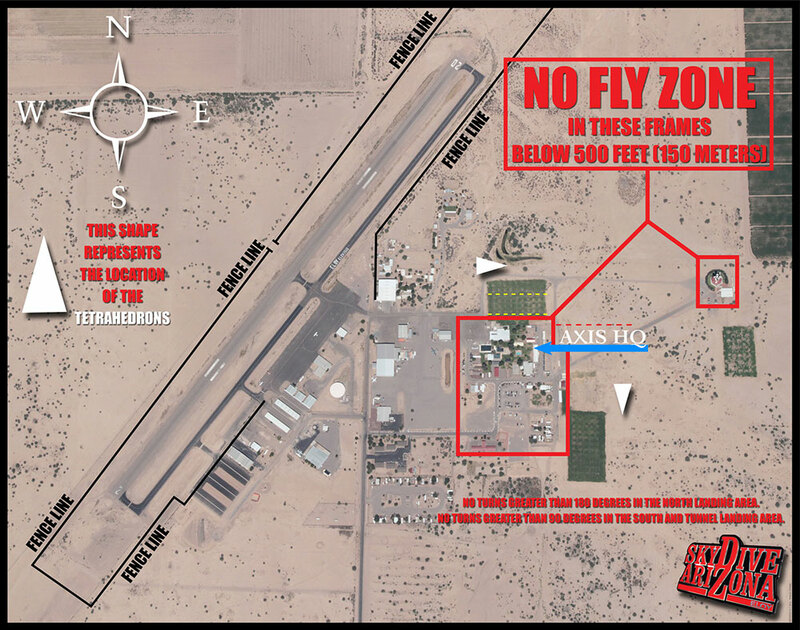 For availability, please contact Skydive Arizona! Tent camping is free year round. 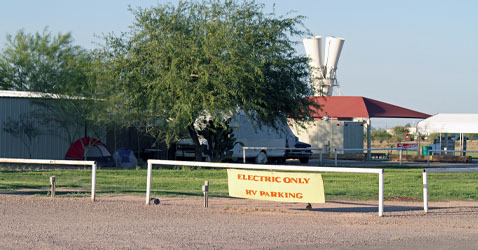 Short term RV parking (less than 30 days) is located on the drop zone. There are 10 full hookups and 9 electric only slots. Reservations are highly recommended, as these slots are usually full during the busy season. 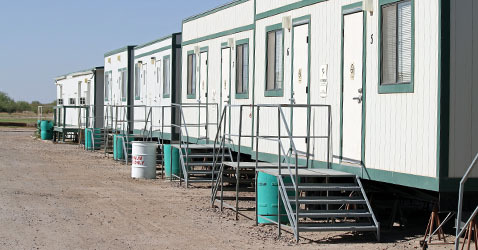 There is a long term RV park a short distance from the drop zone that has 24 full hookups and 14 electric only hookups.